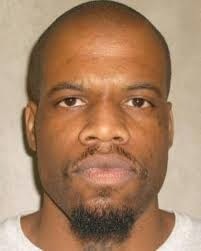 The internet is abuzz over the botched execution of Clayton Lockett. The drugs administered via IV to kill him quickly instead left him convulsing. It took 43 minutes before his heart finally stopped and he died. It had been June 3 of 1999 when Lockett and an accomplice, Shawn Mathis, decided to pull off a home invasion robbery when they were surprised by 19-year-old Stephanie Neiman, who had pulled up at the residence to drop off a friend. Stephanie refused to give the pair the keys to her pickup truck. Lockett and Mathis beat Stephanie, then used duct tape to gag her and bind her hands. They drove Stephanie down a dirt road into a remote area, where she was forced to watch as Mathis dug a grave for her in a roadside ditch. The men made Stephanie stand in the ditch, then shot her. Stephanie didn't die, and the shotgun jammed, preventing a second shot. Lockett went back to the truck to fix the gun while Stephanie pleaded for her life. The men laughed and joked about how tough Stephanie was. Finally the gun was fixed and Stephanie was shot a second time. This second shot also failed to kill her, so the pair just buried her alive and left the recent high school graduate to die. The unexpectedly lingering death of Clayton Lockett made me think of another botched execution -- the execution of Sarah Brown in Kansas during the summer of 1993. Two injections of potassium chloride directly into her brain were unsuccessful in causing death. She was then wrapped in a blanket and left unattended for 24 hours before a nurse intervened and said that Sarah should be provided with care. Severely brain damaged, Sarah lost her vision and would never walk or talk. She died five years later, on September 28, 1998. What crime had Sarah Brown committed that had ended in her being slated for death? Just like Stephanie Neiman, it had simply been a matter of being in the wrong place at the wrong time. Sarah had just had the bad fortune of being in the womb of a mother who chose an abortion at 36 weeks. Using Sarah's mother's age -- just 15 years old -- Dr. George Tiller proclaimed the death of Sarah to be vital to preserving the health of her mother. There was no public outcry over Sarah Brown's botched execution. There were no hearings to determine if it was okay to continue to inject potassium chloride into the brains of healthy, viable unborn babies. In fact, when the Attorney General of Kansas decided to address Tiller's post-viability "health of the mother" abortions, it was he, not Tiller, whose career was destroyed. Because that's how we do things in America. Just as abortion-rights activists who had power and authority in Pennsylvania moved to protect the interests of Kermit Gosnell, abortion-rights activists who had power and authority in Kansas moved to protect the interests of George Tiller. Clayton Lockett's botched execution will lead to a huge public outcry, a huge public debate, and political wrangling over when and how and why to execute people who have committed a crime and gone through due process. Would that Sarah Brown's botched execution had gotten even a tenth of that attention. But the state-sanctioned killings of children like Sarah will continue as long as we entrust their care to abortion-rights supporters. Postscript: You can help to change the tide of indifference to the killings of babies like Sarah and the Gosnell victims. Go to GosnellMovie.com and donate any amount -- as little as $1 -- to spread the word that enough is enough. A country that can have compassion for Clayton Lockett can muster a little compassion for babies as well. As is typical of this blog, many of the criminal abortion deaths took place in Chicago. One reason for this is that online research of abortion deaths is easy for Chicago because of resources such as the Homicide in Chicago Interactive Database. 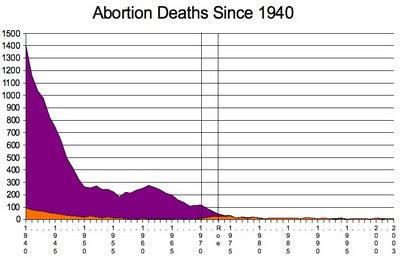 I believe that another reason is that Chicago has long been very abortion-friendly, prone to looking the other way even when women died -- an attitude we still see today, for example, in the appalling behavior tolerated by "safe and legal" abortionists such as Kermit Gosnell. Every woman who ever died from an abortion died at the hands of a prochoice person, and in far too many cases the skids to the grave were greased by abortion-rights supporters. Let's look at two cases from early 20th century Chicago. On April 30, 1917, Mrs. Ruth Lemaire, age 24, died at West Side Hospital in Chicago from complications of a criminal abortion. In her deathbed statement she implicated Dr. Lillian Hobbs (pictured). However, the coroner's jury did not place blame on Hobbs, and the case came to naught. Hobbs was also convicted of murder in the abortion deaths of Alda Christopherson and Ellen Matson. On April 30, 1923, 29-year-old homemaker Emma Herod died in her home from an abortion performed there that day. Dr. Emma J. Warren was arrested for the death. On July 15, Warren was indicted for felony murder in Emma Herod's death.Warren had already been implicated in the 1917 abortion death of 27-year-old Annie DeGroote. The "22 year old female" in question was Semika Shaw. To get an idea of how slovenly the Medical Board's investigation was, please note that Semika underwent the fatal abortion in March of 2000. The Board didn't even get the year right when reviewing this death before blowing the entire matter off, just over four years after the fact. Before Department of State prosecutors decided not to investigate the 22-year-old patient’s death, they had been told of Gosnell’s many illegal practices. What makes these prosecutors’ inaction even more astonishing is that they did know more than the bare facts included in the Board attorney’s evaluation of the case. On the same day in 2004 that they decided not to do anything about Semika Shaw’s death, these same two prosecutors also closed the investigation into the complaint brought to the Department of State more than two years earlier by Marcella Stanley Choung. That was the complaint that had alerted the Board of Medicine – eight years before Karnamaya Mongar died – to almost all of the same violations revealed by this Grand Jury’s investigation. 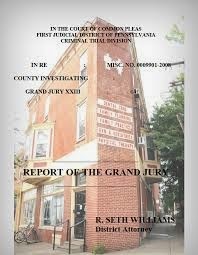 She informed the department investigator that Gosnell was using unlicensed workers (including herself) to give IV anesthesia to patients when he was not at the clinic; that his facility was filthy; that two sick, flea-infested cats roamed freely in the procedure rooms, vomiting throughout; that Gosnell ate in the procedure rooms; that the autoclave used to sterilize instruments was broken; that he reused single-use curettes; that there were no licensed nurses at the facility when IV anesthesia was administered; that Gosnell allowed one patient to use her cousin’s insurance card to pay for an abortion; that Gosnell performed abortions on “underage children” against their will if their mothers asked him to; and that he performed other abortions without consent forms. The "investigation" into Ms. Choung's report consisted of three phone calls. Nobody visited the clinic. Nobody interviewed the employees. Nobody contacted the patient who had given Ms. Choung permission to share her contact information with the state. All that came of it was a recommendation -- which was never followed up -- that the Department of Health should inspect the facility. Nobody did until after a drug raid in February of 2010, a decade after Semika's death, several months after the death of Karnamaya Mongar, and after the murders of Baby Boy A and at least seven (perhaps hundreds of) other live-born infants, blew the lid off. It was only when the District Attorney of Philadelphia was alerted that anybody -- anybody -- took steps to finally shut down Kermit Gosnell's "house of horrors." Gosnell was able to get away with what he did because of calculated decisions by abortion-rights activists to turn a blind eye. I've dubbed this phenomenon "the Compton-Carr Effect," after its most straightforward proponent: Janis Compton-Carr of the Florida Abortion Council. After the Miami Herald exposed a nasty abortion mill featuring many of the same kinds of deplorable conditions found at Gosnell's clinic -- dirty instruments, untrained staff, illegal peddling of narcotics -- Compton-Carr said, "In my gut, I am completely aghast at what goes on at that place. But I staunchly oppose anything that would correct this situation in law." Fortunately, thanks to the internet and crowdfunding, we can bypass the abortion lobby's cheerleaders in Hollywood and the mainstream media. Filmmakers Phelim McAleer and Ann McElhinney, along with journalist Magdalena Segieda, are raising $2.1 million to produce a movie about the Kermit Gosnell debacle. So far over 15,000 people have made contributions, from $1 to $10,000, in order to see this important project come to fruition. As of this writing, they are just a bit shy of $1.5 million, just over 70% of the way there, with two weeks left to reach their goal. This is a fixed funding project -- meaning that if the entire $2.1 million is not funded, all of the money will have to be returned and the project will die on the vine. I'm asking all of my readers to do what they can -- remember that even a $1 donation is a message to the abortion lobby's lapdogs -- that the truth can not be hidden any longer. And whether or not you can chip in financially -- and always be able to say with pride that you were part of dragging this dark story into the light -- you can still do two vital things: spread the word, and pray. Go to GosnellMovie.com to learn more and to help make sure there are no more Kermit Gosnells, no more dead women, no more slaughtered infants. Gosnell and Viability: Where's the Line? Today we commemorate three abortion deaths. Coincidentally, the earliest, in 1874, and the most recent, in 1986, took place in Connecticut. Though the 19th century abortionist was of ill repute, the abortionist who killed our third woman was a member of a prestigious organization of abortion practitioners who purportedly provide the safest abortion care available. But the care he provided to his patient shows that this organization has a very different definition of "safe" than I do. Twenty-four-year-old Josephine "Josie" LeClear died Wednesday, April 29, 1874. She had been living near St. John's School, a boys' school, in Manlius Village for about two weeks, working in the culinary department. On Saturday, April 15, she had gone to Norwich but "was sent back this morning in a coffin and box from there, and accompanying the box was a medical certificate, saying that she died of no contagious disease." Mrs. Copeland, the school matron, went to Norwich and reported "the situation of the corpse and other things surrounding it" were very suspicious. The coroner met the sheriff and several concerned citizens at Josie's family home, to examine her body, speak to her parents and brother, and decide what further steps needed to be taken. When the doctor performing the autopsy opened her abdomen, he found that her uterus was enlarged, punctured with a large hole at the top, and necrotic in patches. The cause of death was clearly an abortion. Nobody in the family had known, or would have guessed, that Josie was pregnant. The investigators determined that Josie had taken very ill after her trip to Norwich, and was cared for by Dr. H. M. Smith and several other physicians who determined that she was suffering abortion complications. On being informed that her death was inevitable, she identified her paramour and her abortionist. The doctor in question was not named in the news coverage, but was identified as "a resident practitioner of Hamilton, Madison County. His reputation is none the best, and he has boasted that he could do these things up very neatly." On April 29, 1914, 37-year-old homemaker Mary Stepen died at Chicago's Rhodes Avenue Hospital from septicemia and hemorrhage due to an abortion perpetrated by midwife Anna Stanek. Mary had languished in the hospital for two days before she died. Stanek was indicted on May 15, but the case never went to trial. Twenty-year-old Gloria Aponte went to National Abortion Federation member Hanan Rotem in Stamford, Connecticut, for a safe and legal abortion on April 29, 1986. A few hours after the abortion, Gloria was declared dead from hemorrhage at a nearby hospital. Rotem claimed that Gloria had died from an amniotic fluid embolism. An investigation by health officials found that Rotem had failed to perform necessary blood tests, such as hematocrit and Rh factor, and had permitted a receptionist with no medical training to administer anesthesia. Rotem had no hospital privileges and no emergency patient transfer agreement in place. For his fatal treatment of Gloria, he was fined a total of $2,000. Dr. Charles P. Wood admitted that Elvira Woodward had come to his house in Manchester, New Hampshire, on April 1 and remained there until her death on April 27, 1871. He said that she'd expelled a dead fetus on April 3, and that she suffered from puerperal fever. Elvira took ill, languishing and finally dying on April 27, at about 2:30 PM, at Wood's house. Dr. Wood was convicted of performing the fatal abortion on Elvira. It is unclear how the prosecutor or the jury identified him, from among all the doctors who had attended Elvira, as the guilty party. It may have hinged on Wood's unsavory reputation. He began his local career as a machinist, did a quick study to get a dental license, then took a bit more training and began practicing medicine as an allopath -- whereupon he developed a reputation as an abortionist. On April 27, 1990, 28-year-old divorcee Sandra Milton (pictured, left) underwent an abortion, performed by Dr. Carl Armstrong (pictured, right) at Toledo Medical Services in Ohio. Sandra's abortion was performed at 10 a.m., and she was discharged shortly thereafter for the 90-minute drive home to Sandusky. The babysitter stayed with Sandra and her three children, ages 10, 7, and 5, for three hours as the young mother slipped in and out of consciousness and suffered pain and abdominal swelling. Twice the alarmed babysitter called the clinic, but was told that the symptoms were normal. The third time the babysitter called the clinic, she got no response at all, and summoned an ambulance. Sandra was pronounced dead on arrival at the hospital at 6:01 p.m. The medical examiner found a one-inch uterine perforation. Her abdomen was full of blood. She had bled to death internally. On April 22, 1920, 28-year-old homemaker Sophie Krawczyk died in her Chicago home from an abortion perpetrated on February 27 by Mary Simkus, whose profession is listed only as "abortion provider." Simka was indicted for Sophie's death, but the case never went to trial. Three years later, on April 22, 1923, 30-year-old Daisy Singerland died at Chicago's Robert Burns Hospital from complications of a criminal abortion performed earlier that day. On June 1, Dr. J.W. Lipscomb was indicted for felony murder in Daisy's death. Daisy's abortion was typical of criminal abortions in that it was performed by a physician. On April 17, 1940, Mrs. Josephine Williams and her daughter-in-law, Mrs. Adele H. Sassen, were sentenced to prison for an illegal abortion resulting in the death of a Long Beach woman. The abortion had been performed on April 16, 1939, and the woman died three days later. Mary Paredez, an immigrant, was 26 years old when she underwent an abortion at San Jose Hospital on April 19, 1977. During the procedure, Mary's uterus was perforated. She began to hemorrhage. Less than seven hours later, she was dead. The autopsy found 2500 cc of blood in Mary's abdomen. At lunchtime on April 1, 1898, she went to the residence/office of Dr. Belle Howard, about four blocks from the boarding house. After work the following day, at about 6:30 PM, she returned to Dr. Howard's house and was sent to a room on the second floor. Etta had a bag packed with a nightgown, robe, fountain syringe, and a bottle containing about two ounces of ergot. Soon after returning to her room, Etta suffered from rapid pulse and a copious discharge of blood and clear fluid. Etta remained at Dr. Howard's house, attended by the doctor and nurse, until the evening of Saturday, April 9. At that time, Dr. Howard drove Etta in her buggy back to the boarding house, where she left her alone on the porch. Mr. Lilly found her there as he was locking up for the night. He described her as being in "a very helpless and distressed condition." Evidently the prosecution witnesses were more convincing than the defense witnesses. 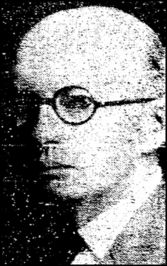 Dr. Howard was convicted of manslaughter in Etta's death. Adding to the scandal were allegations that Fred Patee, Etta's employer, had offered Belle's mother, Mrs. Demree, $2,500 to remain silent about her daughter's death. Etta's abortion was typical of criminal abortions in that it was performed by a doctor. Those insist that legalization of abortion is necessary to keep our daughters safe might want to speak to Lou Ann Herron's father, Mike Gibb, who silently wept in the courtroom as he listened to witnesses describe how his daughter died from a safe-n-legal abortion. On April 17, 1998, 33-year-old Lou Ann Herron bled to death after a late abortion at the now defunct A-Z Women's Center. Medical assistant Sylvia Aragon wept on the witness stand as she said that Lou Ann's pregnancy was "too far along" for an abortion. Aragon said that she thought abortionist John Biskind kept ordering more and more ultrasound scans to try to get one that would document the pregnancy as being early enough for the abortion to be legal. A total of seven ultrasounds were done before an estimate of 23 weeks was obtained the day prior to the abortion. Although Arizona law allows the abortionist to have final judgment about whether or not the fetus is viable, and therefore past the legal limit for abortion, the standard point for viability is believed to be around 24 weeks. The ultrasound Aragon did on April 9 showed a 26-week fetus. If the abortion was indeed being done after 24 weeks, Arizona law requires that two physicians be present. Biskind was the only physician attending Lou Ann's abortion. Arizona law also limits abortions after 24 weeks to those that an abortionist can try to justify on the grounds that it was necessary to preserve the health and safety of the mother -- a nonsensical concept, since after 24 weeks a conscientious physician faced with a gravely ill patient will perform an emergency c-section in a hospital operating room; he will not perform a risky late abortion in a freestanding clinic. There were no health concerns in Lou Ann's case anyway, the prosecution noted. She sought the abortion because she already had two children and was separated from her husband. Prosecutors said that Biskind had ordered a total of seven ultrasounds performed, with estimates ranging from 23 weeks 3 days to 26 weeks. However, only the ultrasound that showed the pregnancy as 23 weeks 3 days was forwarded to the medical examiner; the others were lost or destroyed by the facility. Biskind's defense held that no attempts were made to fudge ultrasounds, nor were records tampered with or destroyed. The abortion was performed at 1:30 p.m. Biskind, his lawyer said, noted a small amount of blood on the sheets when he checked on Lou Ann after the abortion, but that he was not concerned because bleeding is normal after an abortion. Two medical assistants testified that Lou Ann was very frightened about her condition as she lay in recovery. She begged, they said, to know what was wrong with her. She cried out in pain as she lay in a puddle of blood for three hours. Biskind fixed her IV (complaining that there was no qualified nurse on staff to do this), reassured her, and left the building at around 3:45 p.m., according to testimony. Clinic administrator Carole Stuart-Schadoff had a staffer page Biskind 25 minutes later when Lou Ann's condition worsened. Biskind did not return to the clinic, but told staff to call 911. 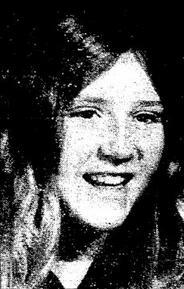 Prosecutors estimate that by the time paramedics were summoned, Lou Ann had lost 2 to 3 litres of blood. When the rescue crew arrived, Phoenix fire captain Biran Tobin Tobin testified, Lou Ann was wearing an oxygen mask, but had not been intubated. There was also no IV in place. "I very quickly felt that there wasn't a lot of competent medical care going on at the time," he said. Tobin testified that Lou Ann appeared to be dead. Nobody at the clinic seemed aware of how grave her condition was, he said, and nobody seemed to be helping her in any way. Staff told Tobin that Lou Ann's vitals were pulse 100, blood pressure 90/50. "It was very difficult for me to believe that they could get the vital signs of a woman who, even as we walked in the door, looked really dead," he said. On cross-examination, Tobin indicated that during the 11 minutes the rescue crew was at the facility, he personally never touched the patient. He could not say if her skin was so cold because it was cold at the facility, or because she was dead. Biskind surrendered his license to practice medicine in Arizona after Lou Ann's death in order to stop an ongoing medical board investigation of the circumstances and his handling of the case. A former Maricopa County medical examiner testified that the tear in LouAnne's uterus was caused by medical instruments, and not by a fetal body part as the defense suggested. However, even had the injury been caused by a fetal body part, this is an expected complication and would not have excused Biskind from his duty to notice and treat the injury. Emergency room physician John Gallagher testified that, based on his assessment of Lou Ann's condition, she could have been saved had she been brought into surgery promptly. This assessment is in keeping with a CDC study concluding that given the training and resources available to physicians, no woman need bleed to death from a legal abortion. Gallagher trains paramedics for the Phoenix Fire Department. He said that the records he reviewed clearly indicated that Lou Ann's condition was life threatening as she lay bleeding after her abortion, and that Biskind should have recognized the severity of her injuries. Gallagher testified that the records clearly indicated serious trouble at 1:25 p.m., 16 minutes after Lou Ann had been taken to the recovery room. He said that had he been treating her, he would have ordered more IV fluids and blood immediately, and summoned an ambulance to take her to a hospital where she could be treated in a properly equipped operating room. Gallagher noted that during her last hours in the recovery room, Lou Ann became combative, anxious and frightened, and that she reported her legs were going numb. These, he noted, are all clear signs of severe blood loss. Instead of recognizing the danger she was in, Gallagher noted, Biskind instead tried to calm Lou Ann and reassure her that she would be "just fine." 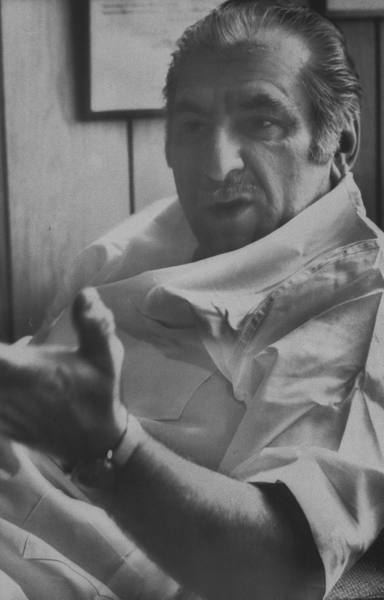 Dr. Sidney Wecsler, an abortion expert testifying for the prosecution, said that the letter Biskind wrote to the medical board describing Lou Ann's death misrepresented both her condition and his treatment of her. The letter, dated June 1, 1998, said that Boskind checked on Lou Ann at 1:25 p.m., and that "pulse and blood pressure were satisfactory." The medical records, however, show that Lou Ann's blood pressue was low at that time, a symptom of severe blood loss. Biskind also said in the letter that Lou Ann was alert and talking when he left the clinic at 4:05, which Wecsler said would have been impossible for the moribund patient who was certainly dead by the time paramedics arrived twenty minutes later. Wechsler said that Biskind surely knew as early as 3:15 p.m. that Lou Ann was not alert, because he ordered a drug to arouse her, which did not work. Biskind's letter makes no mention of administering this drug. Biskind's defense has been claiming that the assistants at the clinic failed to keep Biskind informed of Lou Ann's deteriorating condition. But Biskind's letter to the medical board claims that he himself checked on her every 30 to 45 minutes. Wechsler was cross-examined by Biskind's lawyer. The lawyer contends that the assistants could have misjudged how much blood Lou Ann was losing, and that Lou Ann's low blood pressure may have been due to medication and not hemorrhage. Wechsler didn't budge from his initial assessment, that Biskind had plenty of evidence and had no legitimate reason to claim ignorance of Lou Ann's life-threatening condition. Wechsler said that Biskind should have done a pelvic exam and other tests to determine exactly what was wrong with Lou Ann as she lay, frantic and bleeding, in the recovery room. If nothing else, Wechsler said, the fact that Lou Ann was still in recovery three hours after her abortion, long after other patients were up and about and discharged from the facility, should have alerted Biskind to the fact that something was seriously wrong. A doctor who specializes in obstetric ultrasounds testified that the quality of the scan used to justify Lou Ann's abortion was so poor that it appeared the machine was defective and improperly used. The judge ordered struck from the record the expert's comment that reading an ultrasound properly is "a matter of life and death" for an unborn baby. Biskind's defense was largely based on the idea that no physician would have rationally have left the facility had he realized that Lou Ann was in danger of bleeding to death from the hole in her uterus. The defense also holds that Biskind did not order multiple ultrasounds, but that the fetus was truly 23 weeks. The prosecution noted that the clinic charged $1,250 for an abortion between 20 and 24 weeks, and indicated that it was this fee, and not any medical concern for Lou Ann, that led Biskind to proceed with an abortion. Biskind's attorney also indicated that Biskind informed Lou Ann of the risks of a late abortion before she signed the consent form. Biskind's co-defendant, Carole Stuart-Schanoff, had a defense based on the idea that as administrator of the facility, she had no medical training, took no role in patients' medical care, and therefore was not responsible for what happened in the clinic she was running. Prosecutors point out that Stuart-Schadoff scheduled the abortion, and that she scheduled it despite knowing that there would be no registered nurse attending the recovery room that day. The prosection also noted that Stuart-Schadoff delayed calling 911, choosing to call Biskind first. Lois Montagno, an RN from the now closed A-Z Women's Center, testified that she told Stuart-Schadoff a week in advance that she would not be able to work past noon on August 17, 1998, the day Stuart-Schadoff scheduled Lou Ann Herron for her fatal abortion. This supports the prosecution's contention that Stuart-Schadoff was responsible for leaving Lou Ann in the care of medical assistants, who would not be qualified to supervise the recovery room. Montagno also testified that she left a note to remind the supervisor, and told her as she was leaving on the 17th, reminding Stuart-Schadoff to tell Biskind that there would be no RN in the recovery room. Montagno did not tell Biskind she was leaving; she testified that he was in the procedure room at the time and she did not want to interrupt him. Upon retiring to deliberate at 1:30 p.m. on Tuesday, the jury of seven women and one man immediately agreed that the defendants were guilty. It was simply a matter of deciding which charges they were guilty of: the manslaughter charge, or the lesser charge of negligent homicide. It took them 4 1/2 hours to conclude that Biskind was guilty of manslaughter, Stuart-Schadoff of negligent homicide. Lou Ann's family, which occupied two rows of the courtroom during the trial, wept as the verdicts were read. They met with members of the jury afterward. Jury foreman Russell Craig, 56, spoke for the jury in the aftermath of the abortion death trial. He reported that he and other jurors were haunted by vivid dreams. He was particularly disturbed by the autopsy photos. According to Craig, Biskind was his own worst enemy. "At one point when the prosecutor had finished his closing arguments," Craig told a reporter, "he applauded. It certainly didn't make much of an impression." Only after the trial was over did members of the jury learn of Biskind's history of misconduct, including the previous death of another abortion patient. Craig said that this information "makes me feel better about my decision." After the verdict, County Attorney Romley called for tougher laws addressing the way the Board of Medical Examiners handles doctors with problems. A-Z owner Moshe Hachamovitch testified, news reports say, "reluctantly and under tight security." When questioned about his knowledge of procedures at the facility, and about Lou Ann's death, he responded, "I don't remember." He did, however, indicate that he called Biskind a few weeks after the death to discuss the case, but did not say what, if any, conclusions he reached about how the situation was handled. Hachamovitch admitted that the clinic did not have a procedures manual, but said that Biskind was "excellent at doing second-trimester abortions." Hachamovitch indicated that he himself is an expert on late abortions, having performed "hundreds of thousands of them" during his 41 years of practice, going back to pre-Roe days in New York. However, Hachamovitch's license had been suspended in New York for nine months on the grounds of gross negligence, gross incompetence, and innacurate patient records. His license was again suspended in New York for practicing fraugulently and failing to maintain adequate records. Hachamovitch himself performed the fatal abortions on Tanya Williamson, Luz Rodriguez, and Christina Goesswein. Jammie Garcia died after a safe and legal abortion at Hachamovitch's Texas facility. On April 16, 1917, 27-year-old Antonia Gennaro, an Italian immigrant, died at her Chicago home of septicemia caused by an abortion perpetrated that day by midwife Minnie Miller. Miller was held by the Coroner that day, and indicted on April 17, but the case never went to trial. Dr. Richard E. Thacker (pictured) maintained an office and operating rooms in the Terminal Building in Oklahoma City, Oklahoma. In the early part of April, 1932, 21-year-old Ruth Hall, who was unmarried, went with her friends, Helen Wright and Margy Brown, to Thacker's practice. Ruth was in good health at the time, but had discovered that she was pregnant. Helen reported that Ruth was on vacation from her job at Southwest Bell Telephone Company. Ruth's friends stayed in the waiting room while Thacker took Ruth back into his exam room for five or ten minutes. Thacker told Ruth to return at noon the following day, April 6, a Wednesday. Ruth borrowed money to pay for the abortion. She, Margy, and Helen returned as instructed, bringing Ruth's roommate, Elma Benne, with them. The four young women awaited Thacker's arrival in his waiting room. After he arrived, Helen went into the procedure room with Ruth, while Elma and Margy waited. Helen said she saw Ruth give Thacker money, but she didn't know how much. Ruth then got onto the table as instructed by Thacker. She was on her back with her knees up; defendant used a long slender instrument, and then packed her with gauze; I guess he packed her womb; I saw him insert the instrument into her private parts; he did not make any examination before he used this instrument, nor did he take her temperature; he did not test her heart or feel her pulse. If he asked anything about her condition I did not hear it; we were in a small narrow room; she asked him when to remove the gauze, and he said 24 hours. Helen testified that there were some other women in Thacker's office when she and Ruth collected their friends and went back to the boarding house where Ruth lived. Helen remained with her friend for four hours, leaving her in the care of her roommate. Helen returned to the boarding house on Thursday, and spent the night with Ruth and Elma. Ruth took ill in the night. Elma said that her friend "suffered quite a bit", and got up to use the bathroom, where Ruth passed something. Elma thought that Ruth seemed to feel a bit better after that. Both Helen and Elma observed blood on the bed at the time. Elma described it as "a spot the size of two hands". Helen said goodbye to Ruth at 10:00 Friday morning. She never saw her friend alive again. On Saturday, Ruth's brother came to bring his sister to their parents' house, as was their routine. Mrs. Hall reported that Ruth was sick when she arrived at about 4 or 5 p.m. It wasn't until roughly 11:00 that Ruth finally told her mother why she was ill. Mrs. Hall called Dr. Vaughn, their family doctor. He didn't provide any care for Ruth, but did consult with her mother over the phone. Defendant came out; my daughter was in a back bedroom, and I went with him to her room; I don't think he asked any questions about her physical condition; he asked what was the matter; she smiled at him and did not say anything; he had taken her temperature and she did not have any fever at all. I asked him about getting another doctor, and he said he did not think it necessary. She died Friday evening. I called Dr. Vaughn, and he would not come. I called Dr. Ferris and defendant; Dr. Ferris got there first, then the defendant came. She was dead when defendant got there. After Ruth's death, Thacker said, Ruth's sister tied to shake him down for funeral expenses. Thacker refused, on the grounds that he felt he had done everything he could for Ruth. Her sister threatened to turn him in to the police. 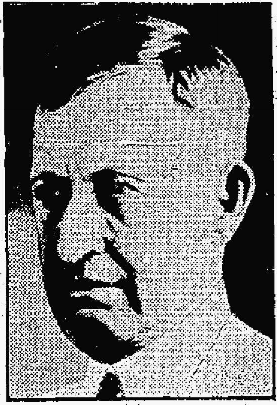 Thacker fled to his brother-in-law's ranch near Amarillo, Texas, where he changed his name to Miller. He then relocated to Springdale, Arkansas, where he was finally appreheded. He was arrested in the afternoon, and claimed at the time of his arrest that he had been planning to return to Oklahoma City that evening. Over Thacker's understandable, albeit unsustainable, objections, the court permitted a number of witnesses to testify that after Ruth's visit to his practice, Thacker had performed fatal abortions on Robbie Lou Thompson, Lennis May Roach, and Nancy Joe Seay Lee. The witnesses went into detail about the events, up to and including the death of each of them. Thacker testified that Ruth had indeed come to his office, but he denied performing an abortion on her. He said that she was seeking aftercare for an abortion she had obtained elsewhere from another doctor. He did admit that he had been summoned to the Hall home by Ruth's mother, but he denied any of the statements he made to Mrs. Hall regarding having an abortion practice. He also admitted to having treated Robbie Lou Thompson, Lennis May Roach, and Nancy Joe Lee, but denied that he performed any abortions. Thacker was convicted of murder, but appealed the conviction, claiming seventeen errors in the prosecution of his case, mostly focusing on the presentation of evidence that he had performed abortions on other women. Thacker's attorneys held that this evidence was prejudicial. But the state countered that the evidence of numerous other abortions demonstrated that Thacker was a practicing abortionist and that the crime against Ruth was performed as a part of that business. The appeal also challenged other aspects of the state's case, and boiled down to, "You didn't prove she was pregnant. And even if she was, you didn't prove that I used any instruments on her. And even if I did, you didn't prove that I used them to cause an abortion. And even if I did, you didn't prove that the abortion wasn't necessary to save her life. Not to mention you didn't prove that the abortion caused her death." The state noted that circumstantial evidence was sufficient. Thacker's appeal clearly illustrates why so many doctors who clearly were performing abortions were nevertheless not convicted, since one weak link in the chain of proof could destroy the state's entire case. Sixteen-year-old Maureen Espinoza underwent a safe, legal abortion at a doctor's office in San Antonio on March 28, 1997. During the abortion, the doctor punctured Maureen's uterus, but didn't note this in her medical records or say anything to her about it, indicating that he simply didn't notice. Maureen was sent home. On April 3, she went to the emergency room at Northeast Baptist Hospital. Over the ensuing days, doctors there performed two surgeries to try to save her life, but to no avail. She died on April 15, 1997. Abortion rights organizations would assert that, while tragic, Maureen's death was just a case of "all surgery has risks." But since roughly 90% of abortions before legalization were done by doctors, the same "all surgery has risks" logic still would have applied. Mamie Ethel Crowell, age 20, died on April 14, 1930, in the office of Dr. Hans Paulsen, from an abortion performed on her that day. Two days later, Paulsen was booked for manslaughter by abortion. The father of the baby, Uriah Denniston, was booked as accessory. Paulson was held by the Coroner for murder by abortion. Denniston wasn't mentioned in the verdict. On September 1, the indictment was quashed. The source notes "Circumstances suggesting judicial corruption." April 13 holds a sad coincidence: the abortion deaths of two women named Stella. On April 13, 1909, Stella Kelly Lowery, age 28, died of septicemia at a hospital in Chicago, from an abortion that had been perpetrated around March 5. Stella, a waitress, was divorced and was identified by her maiden name in the Homicide in Chicago Interactive Database. A midwife named Louise Actenberg was held by the coroner's jury. Achtenberg was also implicated in the 1907 abortion death of Dora Swan and the 1909 abortion deaths of Stella and of Florence Wright. In 1918, at the age of 69, she was arrested for performing an abortion on Miss Ruth G. Pickling, but acquitted, going on to be arrested for the 1920 abortion death of Violet McCormick and the 1924 death of Madelyn Anderson. I can find no record that she was ever incarcerated, which is hardly surprising, given how hospitable Chicago has typically been to abortionists both before and after legalization. Stella Saenz, age 42, had arranged for a safe, legal abortion in the spring of 1968. On April 11, she was admitted to Los Angeles County General Hospital with sepsis. Doctors administered penicillin. Stella went into anaphylactic shock; neither she nor the doctors had realized that Stella was allergic to penicillin. Doctors tried to treat both the infection and Stella's reaction to the penicillin, to no avail. She died on April 13. 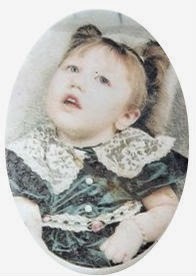 The California Department of Public Health classified Stella's death as both a drug reaction death and a legal abortion death. She was one of the growing number of safe-and-legal abortion deaths that were to soon almost completely replace illegal abortion deaths in the United States over the coming decade. Doris Jones, a 20-year-old mother of two, died April 11, 1935, from complications of a criminal abortion perpetrated on April 3. Dr. 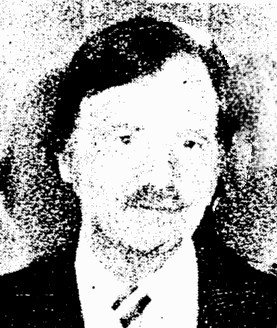 Guy E. Brewer, a 53-year-old bachelor known for his benevolence toward college students, was fingered as the culprit by Doris' husband, Victor. Brewer (pictured, right) was a quiet, small-town doctor in Garber, Oklahoma. Doris' husband, Victor, a grocery clerk, had not known about the abortion until after Doris took ill. Doris' abortion was typical of illegal abortions in that it was performed by a physician. "Terri" Roe is one of the women Life Dynamics notes on their "Blackmun Wall" of women killed by legalized abortion. On April 6, 1991, Terri, age 34, had an abortion at a doctor's office in the 1100 block of Summit Avenue in Union City, New Jersey. A nurse called the police saying that they needed emergency help for an unconscious patient. According to the police report, the doctor had already left the facility when the nurse called for help. Terri was taken to the hospital and placed on life support. She was pronounced dead on April 11, 1991. Though we don't know who the perpetrator was that caused Terri's death, we do know who is responsible for the death of 28-year-old Mickey Apodaca. Abortionist Raymond E. Showery (pictured, right) was out on bail appealing a murder conviction when he performed the safe, legal abortion that killed Mickey, a divorced mother of four, on April 11, 1984. She was about 19 weeks pregnant, and during the abortion, Showery tore a hole in Mickey's uterus and severed a uterine artery. Mickey hemorrhaged for two hours before she was transferred to a hospital, where she died during an emergency hysterectomy. Elva Lozada is listed on the Life Dynamics "Tombstone Project" poster as having died in California from a legal abortion in 1964. I have nothing in my notes that matches this woman, and Life Dynamics currently has nothing about her on their web site. A web search reveals that Elva died on April 9, 1964 in Los Angeles. She was just short of her 28th birthday. On April 8, 1928, 26-year-old Mildred Jakobsen, a Chicago native, "took sick" at work. She died there before she could be taken to a hospital. On May 4, the Cook County coroner concluded that Mildred had died from complications of a criminal abortion, and recommended the identification and arrest of the person or persons responsible. Nobody was ever held accountable for Mildred's death. Most Chicago abortions of the era were perpetrated by doctors or midwives. Part 1: Was It That Bad Then? Is Now an Improvement? Laura Bassett of the Huffington Post lamented "The Return of the Back-Alley Abortion." Bassett begins with the story of Karen Hulsey, who became pregnant out of wedlock in 1969 in spite of using a diaphragm. Her boyfriend turned out to be married, and, predictably, said that he would not help raise or pay for the child. Instead, he offered to arrange and pay for an abortion in Mexico. Karen was "ashamed and embarrassed," afraid as a Catholic of the spiritual ramifications, and "wrestled with the decision and was three months pregnant by the time she agreed to go. Her lover put her on a chartered plane, which landed in a field and was met by a woman who took her to a tiny "clinic" with dirt floors. Karen, as a nurse's aid, worried about how sterile the instruments could be in such a place. After a "very rough" examination, the doctor sedated her for the abortion. Karen woke up during the procedure to find herself being raped. Afraid for her life, she pretended to still be unconscious and waited until the abortionist was finished before pretending to come out of anesthesia. After being told that the aborted baby was a little boy, Karen was given a Kotex and sent home with a retained placenta. She ended up hemorrhaging and needing emergency care. Later she suffered from incompetent cervix and had three miscarriages before undergoing surgery that enabled her to give birth, though the little girl was two months premature and weighed less than three pounds. At first, Karen felt that she was being punished by God for what she'd done to her first child. "I think that's baloney now," she says, "and that's why I'm willing to talk about it." [B]efore Roe, as many as 1.2 million women a year in the U.S. resorted to primitive, self-induced abortions or sought out illegal, amateur providers. Thousands of women ended up in hospitals each year with severe complications related to illegal abortions, and in 1965 alone, nearly 200 women died from those procedures. I have to give Bassett and the AGI credit for at least not dragging out the hoary and long-since discredited claim of 5,000 to 10,000 maternal deaths a year before Roe, so her assertion about the number of deaths is at least accurate. However, it's still misleading. What she and the AGI conveniently omit is what was happening both prior to and after 1965. What was happening? 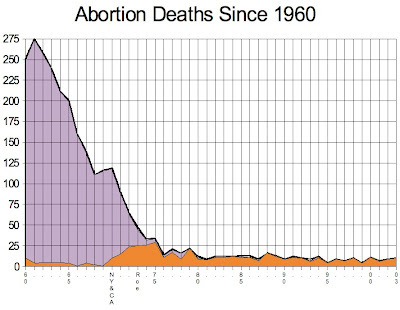 Abortion deaths were plummeting, (see graph, right). Credit is due not to legalization since, as you can clearly see, neither the first states legalizing abortion nor abortion-rights advocates' beloved Roe vs. Wade made so much as a blip in the trend. What was keeping women from dying was improvements in medical care. Thus, modern abortionists and their cheerleaders are claiming credit for other people's hard work. AGI and Bassett equivocate some more with the claim that "as many as 1.2 million women a year in the U.S. resorted to primitive, self-induced abortions or sought out illegal, amateur providers." The weasel words "as many as" allow them to point out that technically, the assertion is not a lie. The actual number can be anything less than 1.2 million and still, from a strictly mathematical standpoint, the statement would be true. But the number is highly misleading. Half of all women undergoing abortions ignored the legal abortion facilities that were operating openly, advertising their presence, and instead chose to resort to underground, clandestine, secretive illegal abortion practitioners. Half of all women who would have otherwise resorted to abortion decided to forgo that choice once legalization made abortions easier to obtain. The truth is, with legalization the number of women resorting to abortion annually climbed steadily, and did not approach 1.2 million until 1978. Regardless of the actual numbers, which logic tells us must have been fewer than 600,000 a year, what were the illegal abortionists like? Were pre-Roe abortions truly "primitive, self-induced abortions" or the work of "illegal, amateur providers"? Let us turn to the experts on that issue. In 1955, Planned Parenthood Federation of America held a conference on induced abortion in the United States. As PPFA's medical director, Mary Calderone, concluded in "Illegal Abortion as a Public Health Problem" (American Journal of Public Health, July 1960), roughly 90% of pre-legalization abortions were performed by doctors, about 8% by the woman herself, and about 2% by non-physicians. Nancy Howell Lee published her data based on interviews with women who had obtained abortions before legalization (The Search for an Abortionist, University of Chicago Press, 1969), and concluded that 89% of pre-legalization abortions were done by physicians, an additional 5% by nurses or others with some medical training, and 6% were done by non-medical persons or the woman herself. Since both sources agree on the approximate 90% perpetrated by physicians, this number is probably fairly accurate. They disagree on the breakdown of non-physician abortions. I estimate that numbers were probably about 5% trained non-physicians (nurses, midwives, surgical technicians, etc. ), 3% untrained accomplices, and 2% the woman herself. As far as I've been able to see in my research into pre-legalization abortion deaths, the only circumstances under which quack abortionists of the "back-alley butcher" type were able to thrive was in communities where abortion was perceived as an ordinary and reasonable thing for a woman to do and any abortionist was seen as a helpful, well-meaning person who ought not to be punished even if he killed his patient. Where abortion was frowned upon, prosecution not only of the abortionist but of accomplices as well was the norm. In other words, a strong abortion-rights presence protected all abortionists, including quacks. Clearly, pre-Roe America wasn't a country plagued with seedy, coathanger-wielding abortionists who maimed over a million women a year. Yes, there were some quacks, but unless abortion-rights people in positions of power or influence stepped in on their behalf, they were arrested and shut down, leaving the competent doctors who practiced without injuring their patients and thus drawing attention to themselves. What we had was perhaps half a million women going to competent physician-abortionists, with a minority using a trained non-physician and a very few resorting to the untrained or themselves. As I've already noted, legalization had no effect on maternal mortality whatsoever. Did it have a change on practice? As one would expect, the doctors who were perpetrating illegal abortions prior to legalization would hardly shut down their abortion practices. With legalization they could begin to openly advertise. If there was any change in the quality of the care provided, it was for the worse once the threat of prison. Four erstwhile criminal abortionists that I know of had no patient deaths prior to legalization, but each went on to kill two women after legalization. They gambled with their patients' lives: Benjamin Munson sent his patients home with retained fetal parts; Jesse Ketchum performed hysterotomy abortions, which are like a c-section but with the intent of delivering a dead fetus, in the motel where he set up shop; Milan Vuitch used dirty instruments, left anesthetized and unconscious patients unattended for hours on end, and kept patients in his home overnight when they suffered complications. 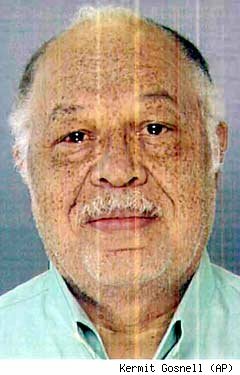 The most famous -- nay, infamous -- "back-alley butcher" who hung out his shingle legally was Kermit Gosnell, whose Philadelphia "house of horrors" was flea-infested and littered with cat feces. Patients were routinely doped within inches of their lives by his unqualified staff -- two of whom had never even finished high school -- before Gosnell would show up for the day. Viable babies were routinely delivered alive and then killed via "snipping" -- cutting through their spines with surgical scissors. Abortion-rights supporters tend to dismisse men such as these as "outliers," not at all representative of "high quality reproductive health care." This claim is a bald-faced lie. Vuitch and Munson both enjoyed high status within the abortion establishment. Vuitch's New York Times obituary praised him as a "fighter for abortion rights." Munson was a member of the prestigious National Abortion Federation. While not as high-profile as Vuitch or Munson, Ketchum got regular referrals from Clergy Consultation Service, a network that arranged abortions prior to Roe vs. Wade. These men were not renegade abortionists that no reputable prochoicer would send women to. They were as mainstream as it was possible to be. As for Gosnell, he worked part-time at a National Abortion Federation member clinic which would collect his fee and turn late-abortion patients over to him for care. These women ended up moaning on the blood-stained recliners in Gosnell's facility. The word to properly describe Gosnell isn't "outlier." It's "employee."